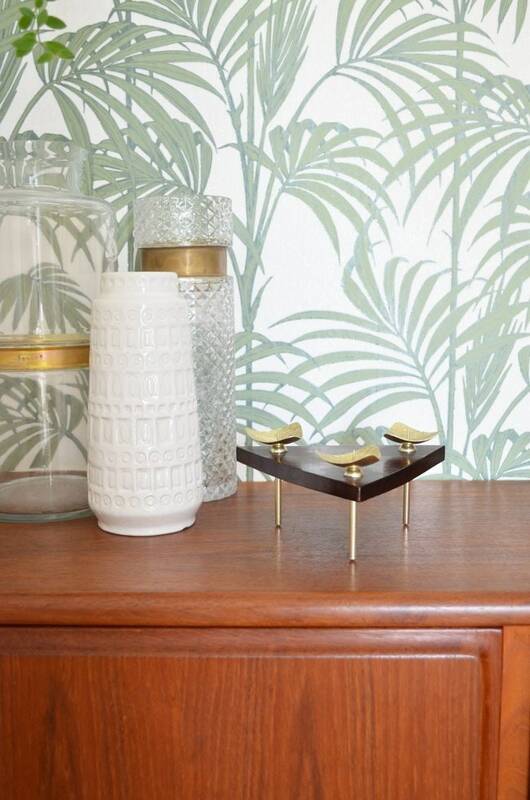 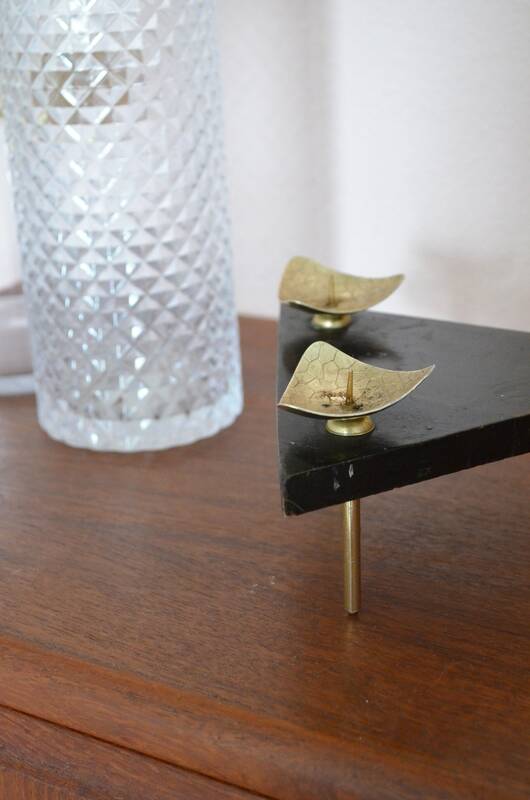 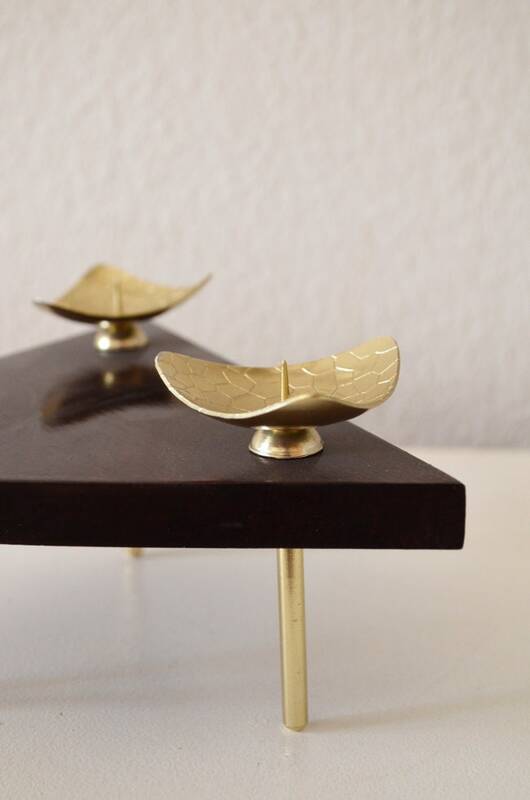 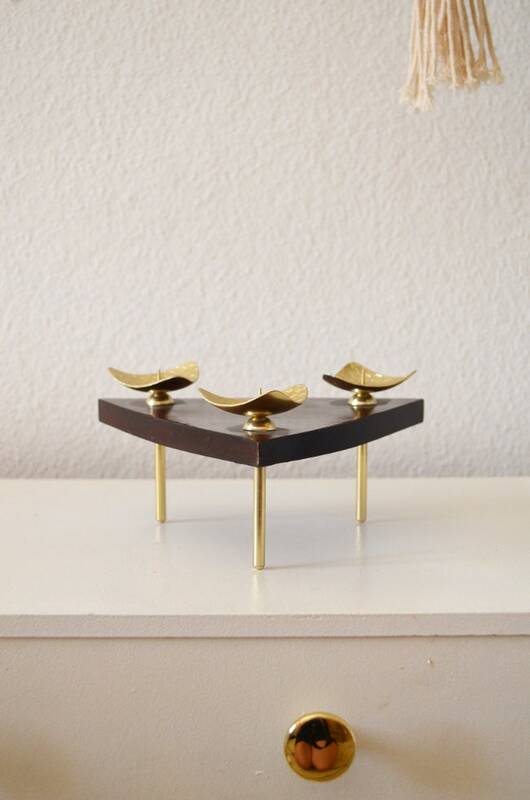 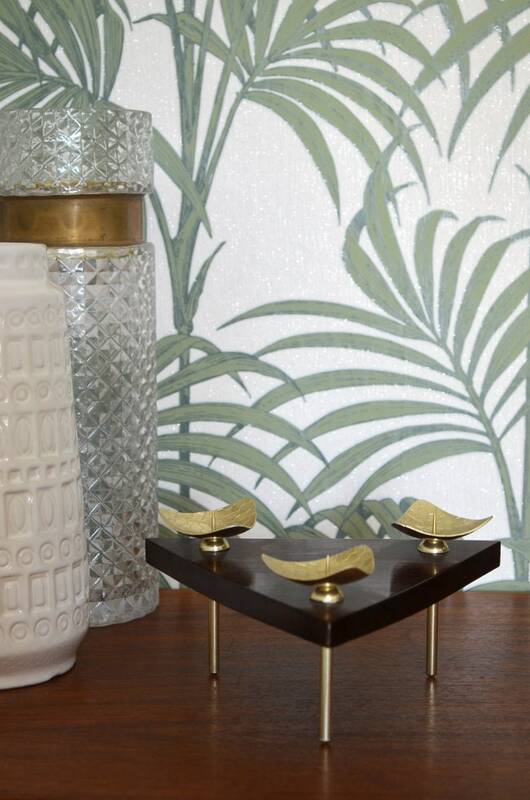 Mid Century Modern Candle Holder in Brass and teak wood. 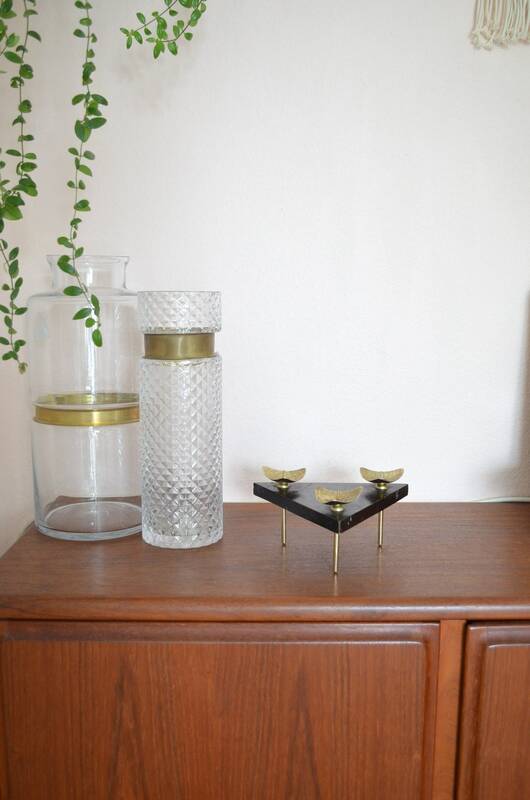 Good used condition with slight scratches and discoloration. 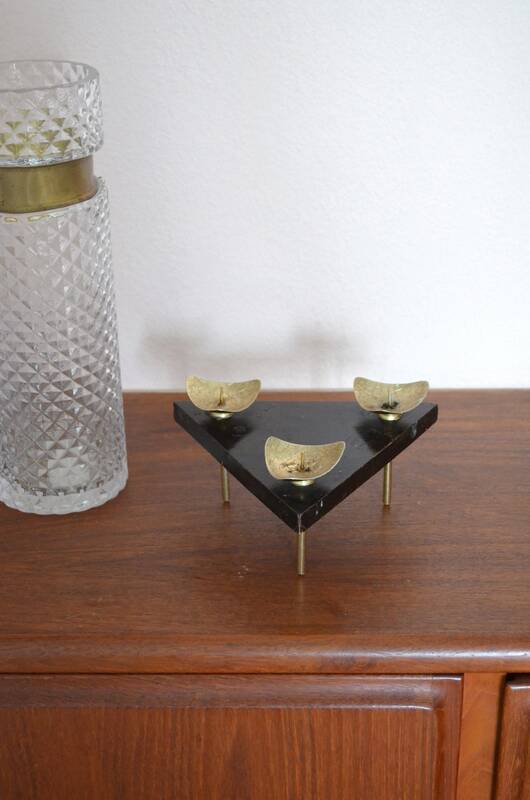 For Block Candles with a Diameter Of 5-6 cm.